Face masks are a great beauty product that produces amazing results and can really enhance your beauty routine. They are simple and easy and something that you can do yourself at home. The overall effect of face masks is that they help hydrate the skin, remove excess oils, and tighten and tone skin along the way. Who wouldn't want this in the comfort of their own home? However, with using a face mask, as any beauty product, there are certain things you should keep in mind. If you want the best results from your face mask application, have a read of this article. We have a closer look at different types of masks and how often they should be used for the best beauty outcomes. You can also achieve salon like quality results at home by using the best blow dryer for natural hair. These masks are a big hit in Korea and are gaining popularity around the world. They are very simple to use and can be applied two or three times a week, even for dry and sensitive faces. Simply add some water to a cup of the powder and mix them together. The mixture will resemble something of a goo and this is what you need to apply to your face. As it dries, it will begin to feel like rubber. When it’s completely dry, you can just peel it off as it will resemble a rubber sheet. This face mask will leave your face feeling firmer and clearer. This type of mask is another one out of Korea and they look more like toners than anything else, with a scent of fruit juice. This face mask is best used just once a week. The lactic acids will leave your skin feeling so smooth that you won’t need to use it any more regularly. All you need to do with this one is take a half cupful of liquid and pour into your palm. Then apply this to your face and leave it on for around 20 seconds before showering. It is highly simple and effective for skin clarity and softness. The purpose of sleep masks is to seal in moisture to your face while you sleep. There are different versions of sleep masks but most of these can be used each night without any bother. There are different sleep masks for certain levels of skin sensitivity to pay attention to, however. Sleep masks are jam packed with vitamin E and C which benefit your skin greatly. This makes them perfect for rehydrating skin while you sleep. They do feel a little sticky overnight but this is because they are creating what is essentially a moisture barrier. Once you wash that off in the morning, you will have healthy and glowing skin. Kind of like a sheet mask, but in a prettier packaging, lace masks are designed to sit comfortably on your face while doing wonders for your skin. These provide a full masking experience, with convenient ear hooks so you can loop them over and the mask won't slip on your face. Lace masks have hydrating qualities and leave your skin feeling rejuvenated and clear. These face masks are best used just once a week. They are a perfect indulgence when you find yourself with an evening to yourself. Add a glass of wine and some cozy slippers to the mix, plus a good movie or book, and you've got the makings for a perfect evening. Now that you know there are so many different types of face masks, and each can be used in different quantities through the week, let’s have a look at just why you should use a face mask. This form of beauty treatment has so many benefits and you should use one at least once a week. Check out these top 5 reasons to use a face mask and have your skin thank you immediately. - Face masks are incredibly relaxing, not only for your skin but also your mind. They are infused with aromatic essential oils such as mint and rosemary. These stimulate senses in your brain that trigger relaxation. Using a face mask once a week is a perfect indulgence to get in touch with your me time and truly relax. - Using a face mask once a week takes care of the deep cleaning. Even though you wash your face regularly through the week, oils build up in your pores and clog up the skin. Using a proper face mask cleanses deeper than regular washing and detoxes the top layer of the facial epidermis. - A face mask is proven to unclog pores. The products contain bentonite clay which helps to remove dirt from the face and absorb excess oils from deep within the pores. This means that your skin will blemish free and much healthier when you use a face mask at least once a week. - Face masks make your regular beauty regime much more efficient. Think of it like doing a deep clean of your house once a week. When you clear out all the clutter, keeping things tidy for the rest of the week is so much easier. Face masks do the same for your skin. Once all the dirt and oils are removed once a week, you can take care of everything else without any hassle. - Finally, face masks leave your skin truly glowing. If you find a face mask with mint in the formula, your skin will literally tingle thanks to the increase of blood circulation. 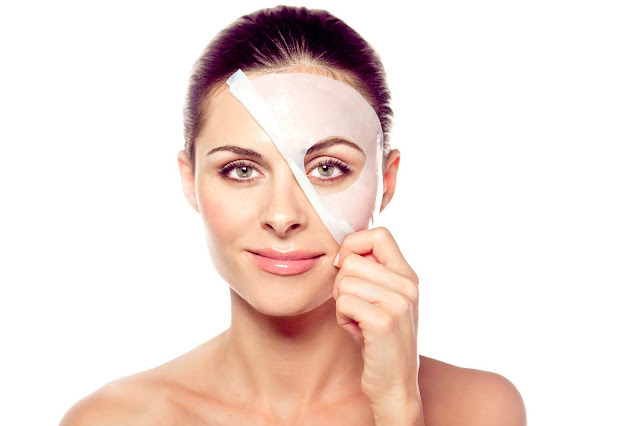 Face masks help to expand the blood vessels which means everything can flow better in your skin. This leaves your face with a radiant glow and appearance of refreshment. Hopefully, this article has given you a better insight to different face masks that are available and how often you should use them. There are plenty of options for sensitive skin types and different aromas and essential oils to suit your preferences. Get in touch with your beauty regime by adding a face mask to it once a week. Also if you visit a salon, always insist on using best hot rollers for your fine hair. You will see impressive results in a short amount of time. Have you had success with a certain type of face mask? How do you incorporate it into your beauty care regime? Share your thoughts and opinions with us.